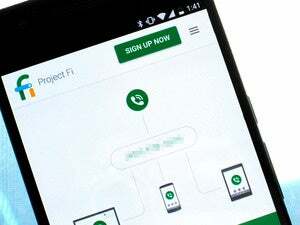 Google is pulling the plug on Helpouts, the company’s service to provide answers and advice by connecting information seekers with experts via live video. With Helpouts, Google sought to provide an information platform built around live tutorials rather than clickable search results or links. The goal of the service, launched in 2013, was to let people connect with experts to get information about practically anything, whether it be photography, cooking, fitness or home improvement. Google took a 20 percent transaction fee from most types of paid sessions. A desktop version was offered, as well as mobile apps. But Helpouts never took off. “The Helpouts community includes some engaged and loyal contributors, but unfortunately, it hasn’t grown at the pace we had expected,” Google posted Friday to the Helpouts website. Google will shut down the service on April 20. Users can download their Helpouts history with the Google Takeout service until Nov. 1 of this year, the company said. The Helpouts mobile apps appear to already have been removed from the Google Play and Apple App stores. Google didn’t provide any additional comment on the reason behind the shutdown. Helpouts’ main competitors may have been Google’s other products, including its web search engine. For example, Google now displays relevant information in response to people’s queries via its Knowledge Graph feature at the top of the search results page, in addition to the traditional website links. The feature now covers a range of topics including public figures, places and nutrition data, with health information being the latest addition. Google did not charge a transaction fee on health-oriented Helpouts. People also often use Google’s YouTube as a source of information, not just entertainment. For example, the site features videos meant to help students understand course work, and to help homeowners learn how to do home repairs.